Caravanning is the perfect form of tourism for those, who value independence and like to wander in their own ways. Own car and a caravan adapted for relaxation, are the basic equipment for any traveler, for whom camping is the best form of rest. Caravanning means freedom and independence, but also economy. You don’t have to worry about the hotel room, because you have your own “apartment”. You only need to find a place which is designed for this kind of travelling. Just visit first random campsite to see what is the most important in this form of turism. Fun and great relaxation is ensured only if you choose a good caravan. 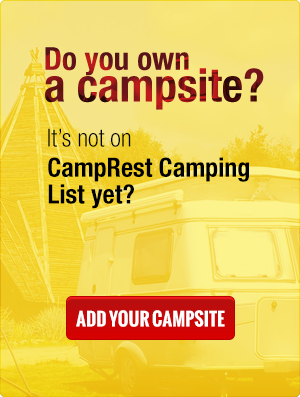 You can hear feverish discussions on the campsites about which caravans are the best. Dutch caravans are in the lead. It shouldn’t be a surprise, since caravanning has gained the greatest popularity exactly in that country. Among other European countries which follow the fashion for caravanning are Germany and France. Among the companies involved in the production of caravans, the best are Adria, Hymer, Hobby, Knaus and Cristall. Today on the caravan market are mostly German and English companies. There’re only a few producers in Poland, the majority of companies import new and second hand caravans from other countries. One exception would be Niewiadów Caravan Factory, which strives to meet the expectations of Polish fans of caravanning. This producer has been launching the caravans, known for its solidity and convenience, for over 40 years. How do caravans look like? Caravans are no motor vehicles adapted to living, which are attached to the car with a special hook. When on the road they are towed, but while on the parking, they can be detached from a car. This has some advantages. When you stay on the campsite a little bit longer, you can freely use your car without the necessity to pull your caravan everywhere you go. This solution is not for the people who own campers, in which the living space is permanently attached to the driver’s cab. The downside of having a caravan is that you need appropriately strong car which will be able to pull this “home”, and you can’t stay in the caravan while driving. This is for the safety of every caravanning enthusiast. Caravans may differ both in size and standard. A particularly important aspect of any caravan is its chassis, on whose durability depends the safety of the travelers. Another aspect which is very important when it comes to the comfort would be solid shock-absorbers. When you stay on the campsites, it is very important to have a comfortable caravan. Solid and tight body, as well as the necessary equipment constitute the basis for good holidays. Any, even the smallest and simplest caravan, must have in its facilities a place to sleep and rest, a bathroom, a kitchenette and simple furniture which allows to securely store the necessary equipment and clothing. Thanks to this the caravan creates something, what people often call "small, mobile apartment". Wide selection of caravans and their numerous kinds gives the enthusiasts of this form of tourism the ability to adjust them to their needs. But in order to choose well, we need to know the basic information about caravans. A convenient alternative are folding caravans, which have gained a big popularity among caravanning enthusiasts. Their advantages include, for example, easier driving and smaller air resistance, which have a good influence on fuel consumption Thanks to this folding design, it looks like a standard caravan while driving, and after unfolding it resembles a small house. Such caravans can provide a shelter only for up to 5 people, the living space is also smaller. For those, who like comfort, unfolding it comes as a painful surprise. Among the folding caravans, you can also find caravan-canopies, which are much more lighter and smaller than standard folding caravans with stiff walls. What are the most popular caravans? Caravans are popular all over the world. In each country you can observe some trends among users, for example what are the deciding factors when it comes to buying a caravan. “The bigger, the better” may describe people in the United States, where usually to the campsite goes the whole family. There, the most popular campers are those biggest, two-or three-axle, hooked to the vehicle like semitrailers not caravans. You only come to the campsite and park. It’s also worth to mention about the "gems" – classic caravans, which started this big adventure called caravanning. We are talking about the beautiful and shiny Airstreamers, well known on the American market, which Wally Byam began producing in 1932, and a small compact caravans ERIBA which were designed by Eric Bachem in 1950. These caravans have been produced in unchanged, but constantly improved form till this day.